For better results the application environment should be away from direct sunlight or high intensity lights and the person under observation should stop any body movements / exercises. EP-107 can also be used in research and development projects and as replacement probes in different exercise machines like treadmills, exercises etc. Engineering students can also these probes if they have compatible circuits. EP-107 consist of only a pair of IR photo transistor and receiver LEDs enclosed in a specially designed plastic clip housing and cable with stereo jack plug. The probe clip alone does not have any other circuit . To use the probe you must have some suitable application circuit or compatible pulse rate monitor. The technical data of probe clip is given above for comparison . It is not guaranteed that clips will match with your any existing machines . Pl. compare technical data and plug connections before use. 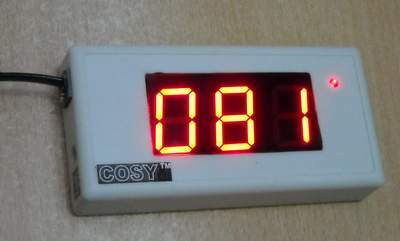 These sensor clips are basically designed for use with COSY Pulse Rate Monitors Model PM-1102. 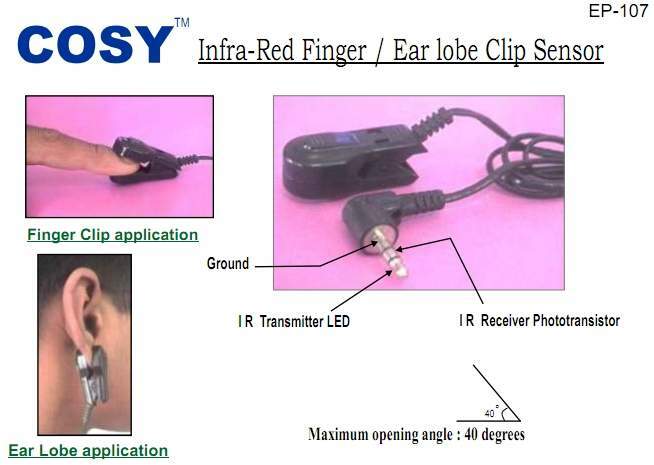 The instrument uses Infrared sensors which can easily be clipped to finger ends or ear lobes to detect the heartbeat by finger plythysmography technology. A bar graph is provided to adjust the position of sensors at the best signal location. The unit is lightweight, easy to handle, extremely durable. The detachable Infra-Red probe is designed to get the best results in all type of pulse rate measurement applications. The pulse is also shown by LED indication and Piezo beep sounds. 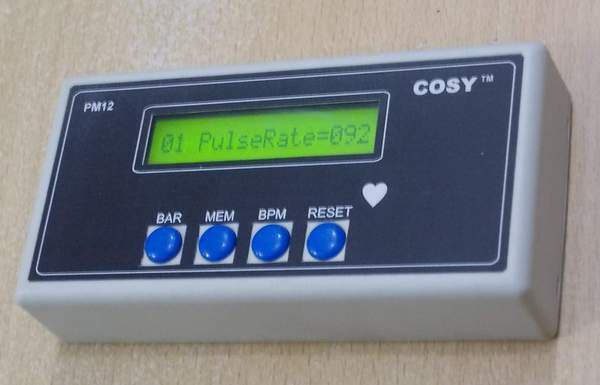 Pulse Rate Monitor video .